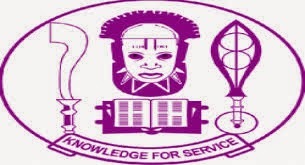 UNIBEN Postgraduate School Registration 2016 has commenced. UNIBEN registration for Postgraduate School programme is basically for graduates from tertiary institutions. Checkout how you can apply for the post graduate programme below. The UNIBEN Postgraduate School Registration 2015/2016 or simply (NILS Postgraduate Programmes 2015/2016) started today, Thursday, 15/01/2016 to close on Monday 29/02/2016 at 11:59 am. So any interested candidate who wants to apply for admission into the UNIBEN Postgraduate School should do so on or before the closing date, following the procedures shown down. Under the Applicants Menu, Click on NILS POST GRADUATE PROGRAMMES 2016/2017 or any other form you may want. Click on Register for application at the top left of the displayed page to proceed. Enter all requested information following instructions on the application page. Upload a Recent and clear 1” x 1” COLOURED passport photograph with red background. To pay for the Application, click on “Add online payment ticket” at the bottom of the page, then click on “College Pay” on the top left corner of the page. You can SAVE your application and come back to it as many times as required before FINAL SUBMIT. Print out an acknowledgement slip that contains your application details.